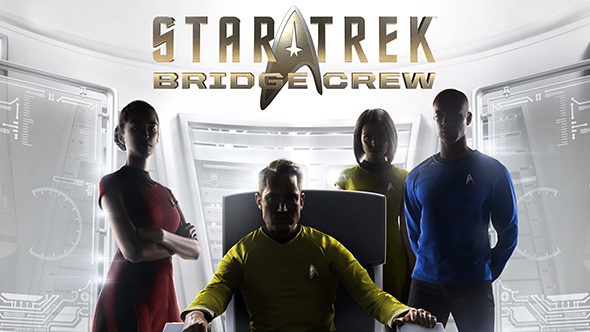 Star Trek: Bridge Crew is a delightful way for you and three friends to live out your nerdiest fantasies, taking command of a Federation starship and taking on the individual roles of officers on the bridge. The only problem is that your group of four had to shell out the money necessary to all own VR headsets. But that’s a problem no longer, because Bridge Crew isn’t VR-exclusive anymore. But it’s still one of the best VR games on PC. A free update on PC (and PS4) allows players to use traditional screens and input devices like gamepads, mice, and keyboards to play Bridge Crew. It’s a little less futuristic, sure, but certainly a lot more affordable. Online matches will be fully cross-compatible between VR and non-VR players. The update includes graphical enhancement designed to take advantage of the increased system resources available when outside of VR, but these will also be available in VR if you think your computer can handle it. The update also features “enhanced support” for Windows Mixed Reality headsets. The developers also have some more new features in store for Bridge Crew in the future, but they’re not announcing those just yet. If this is the news you were hoping for before getting into Bridge Crew, you’ll surely be delighted to know that the game is currently half-off for the Steam sale, at a price of $24.99 / £19.99 / €24.99.